As I am starting to get more involved into the food blogger world, making new friends and discovering delicious new blogs I’ve noticed something about myself. I am a food blog skimmer. I admit it and I apologize but when I’ve only got a couple hours to rush to the store and prepare a dinner for 4 and looking for some new ideas, I typically just go straight to the recipe, skimming over the rest. Obviously, that logic doesn’t apply every time I am reading a blog but when looking for new recipes, I am 100% a skimmer. So I have decided to try something new and begin documenting the process through photos in which my cookies are made. That way, if you are a skimmer like me, you don’t even have to read anything. 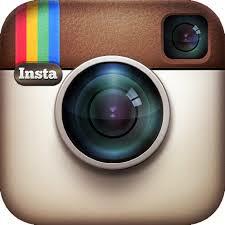 You can just follow the pictures. I love blogs that do that! 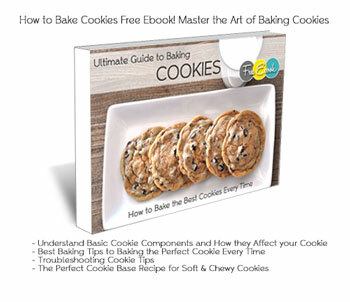 My purpose is to help you become a better baker of cookies and the best way we learn besides just getting in the kitchen and baking of course is visually. 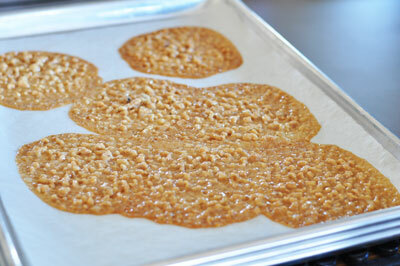 So here’s the process behind these Lace Florentine Cookies. I remember having these as a kid during the Holidays and always so sad when they were gone. I can’t believe it took me so long to learn how to make them myself! 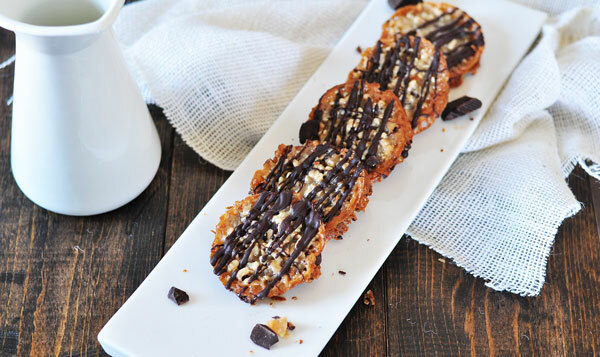 If you’ve never had chocolate lace florentine cookies you are in for a treat! 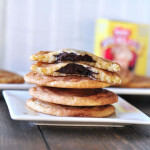 These cookies are so amazingly delicious, with a deep nutty flavor. They are crispy and crunchy with a tiny bit of chew and totally worth the little extra effort to make. 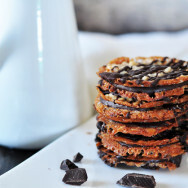 This recipe is adapted from The Foodnetwork’s Florentine Cookies but I left out the orange zest because I thought I might use Nutella, I used honey instead of light corn syrup and added walnuts because I do love walnuts and thought why not? 1.) First you’re going to want to process your blanched almonds, which are almonds with the skins removed & walnuts in a food processor. (You can leave the walnuts out if you would like. 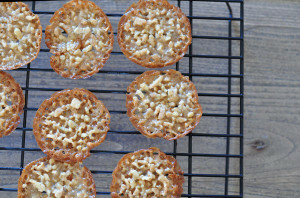 Traditionally they are not included but I love the flavor of walnuts so I used a combination of almonds and walnuts.) Process them pretty well but not into a paste. I actually ground some up and then added the flour and ground them up a little more. Add these with the flour and salt and set aside. 2.) In a saucepan on medium high heat, bring the sugar, honey, cream and butter to a rolling boil. Let boil for one more minute and remove from heat. Add the vanilla right before you pull it from the heat. In stovetop baking, typically vanilla is added last because it is an alcohol based product and it will evaporate when boiled and you will loose all it’s flavor. Add this mixture to you ground almonds, walnuts, four & salt mixture and stir to combine. At this point the mixture will be pretty runny. Let it cool for about 15-18 minutes and it will almost resemble a paste. 3.) 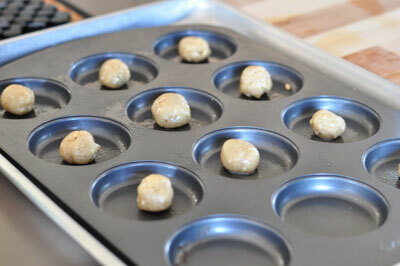 Roll about 1/2 tablespoon of dough and place on a baking sheet lined with parchment paper about 4-5 inches apart. These cookies spread a lot! I actually used a whoopie cookie pan because I wanted to make them into sandwiches which required them to be the same size. 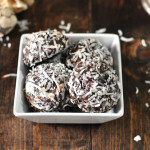 The first time I made these, I used a tablespoon of cookie dough and even though they were all rolled into perfect little consistent balls, they spread like crazy and went everywhere on the pan. 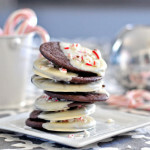 The whoopie cookie pan worked way better. I think a smaller amount of dough would have performed much better, however even without the whoopie cookie pan. The second time was much better. 4.) Bake in a 350 degree F preheated oven for about 10 minutes. In the whoopie pan I only baked them for about 8 minutes since it is in a darker pan, the cookies were a smaller size and dark pans absorb more heat. 5.) Decorate and enjoy however you would like. 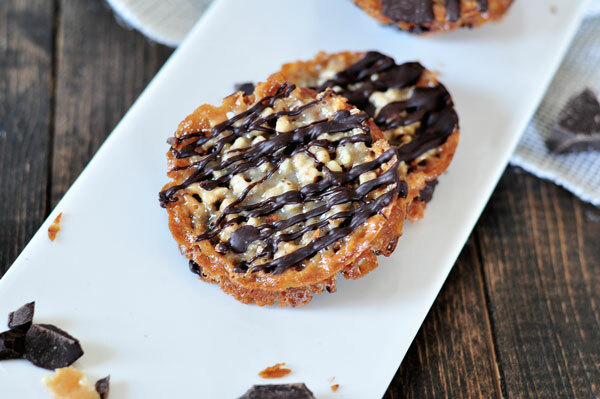 I made my Lace Florentine Cookies sandwiched with chocolate and more drizzled chocolate but I was thinking of sandwiching with Nutella or cookie butter and drizzling with caramel or white chocolate. You choose! What do you guys think? Do you like this process better? Preheat oven to 350 degrees F. Line baking sheets with parchment paper or spray a whoopie cookie pan with non-stick baking spray. In a food processor, pulse your blanched almonds and walnuts until finely ground. 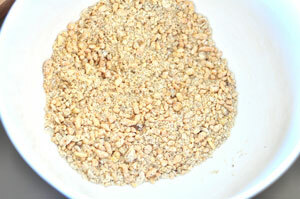 Stir the nuts together with the flour and salt. In a saucepan over medium heat, combine the honey, sugar, butter, and cream stirring occasionally. Bring to a rolling boil and let it boil one more minute. Add vanilla right before removing it from the heat. 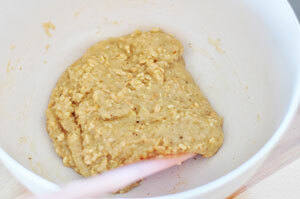 Add the cream & sugars mixture to the almond, walnut, salt and flour mixture and stir to combine. Let cool 15-18 minutes until it is cool enough to handle. 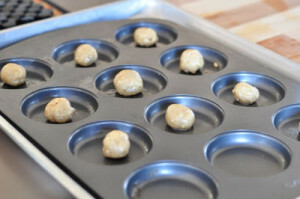 Roll 1/2 tablespoon size balls of dough and place on lined baking sheets or whoopie cookie pans. If using baking sheets, make sure you place them 4-5 inches apart. These cookies will spread. Bake 10-11 minutes rotating the pans halfway through. Let cool for about 5 minutes and then transfer to a rack to cool. If you are having difficulty getting the cookies off the parchment paper or out of the pan, let it cool longer and they should come off easily. 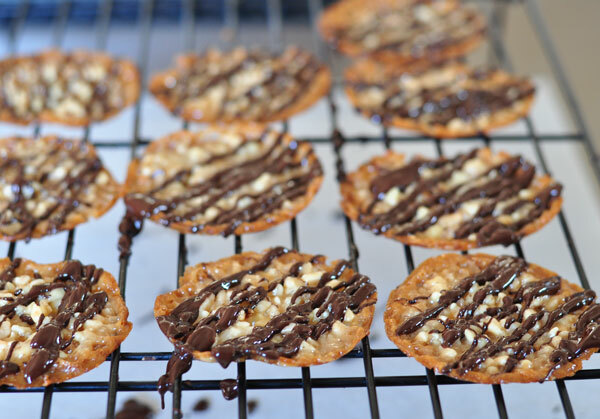 For the chocolate drizzle, heat the chopped chocolate in a double broiler. Drizzle the melted chocolate over each cookie. 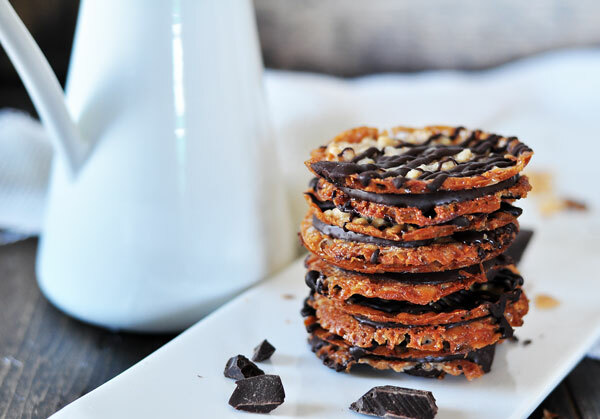 To make sandwich cookies, place a dollop of chocolate in between two cookies and sandwich together. Make sure you share! 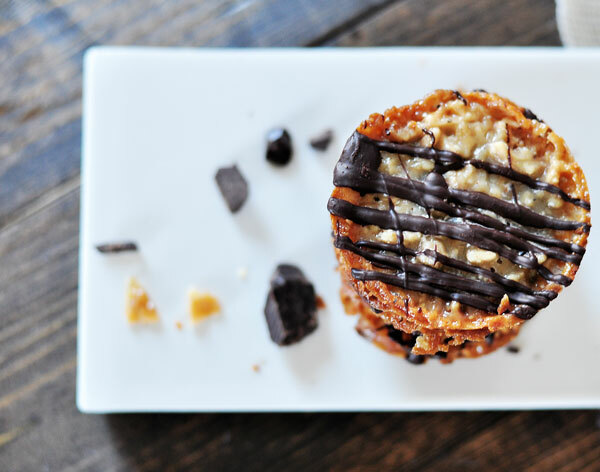 Don’t forget to join our cookie community to get VIP baking tips, video tutorials and delicious recipes sent to your inbox once a month! 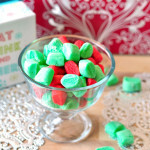 Linking this recipe to these fun and super awesome link parties! A great recipe I can’t wait to try out. 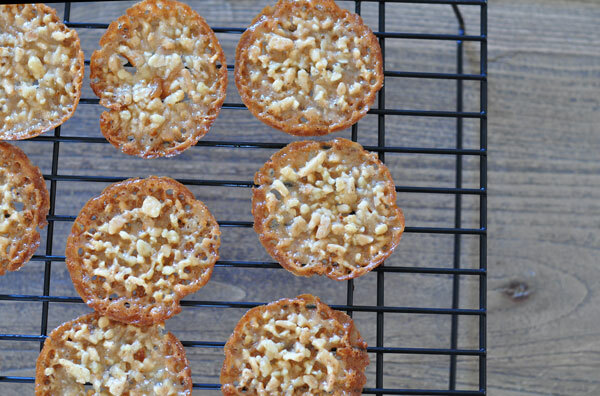 I love Almond Lace Cookies and those brave enough to try them! I wish more would. I came up with my own version of a Almond Lace Cookies, or as I sometimes call them, Broomstick cookies. While different from your own, I think mine is a unique take on the dish. 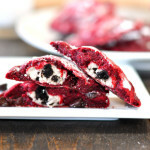 I’m new to the Food Blog scene and would love some feedback from a pro like you. Check out my recipe if have time. 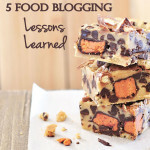 Thank you for stopping by so say hi and welcome to the big big world of food bloggers!! Congrats! I will totally come check out your site! Thanks again! I love florentine cookies! Thank you so much for sharing this recipe. Now I just need to buy one of those cookie pans. Thank you for stopping by to say hi! Love partying with you! 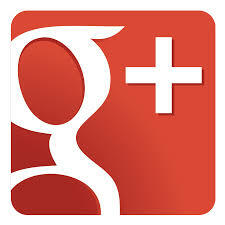 Your blog is just darling! 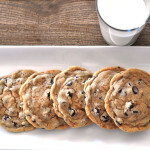 Popping by from Dessert Now, Dinner Later’s link party – these cookies look so yummy! I’ll admit I’ve never had a florentine cookie before. 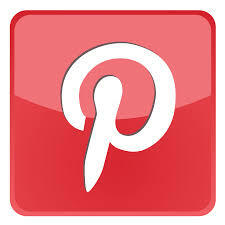 I’m pinning to my cookie board to try soon! Thanks for the recipe! Thank you Jen and thank for pinning!! Let me know if you try it! They are delicious! Wow! Gorgeous photos. I’ve always wanted to make lace cookies, but they seemed too daunting somehow. Seeing the process step-by-step helps motivate me to dive in and make the recipe happen! Thanks! I love this! These pictures are gorgeous and the cookies are fabulous sounding. I love that these are naturally gluten free. 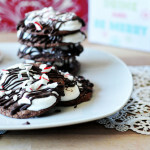 I’ve pinned and will be making these this holiday season! Thanks for sharing! Thanks Jenna! I didn’t even realize they ARE gluten free. Yay! Always a plus too for all my GF friends! OMG Christina! Totally a typo – great catch! I just fixed it. 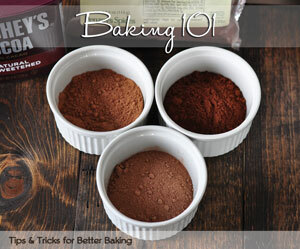 All the dry ingredients are added once you take the wet ingredients off the stove. Thanks again! I hope your son loves these!